The Cultural Property Advisory Committee (CPAC) met between November 15 and 17, 2011, holding a public session on November 16. Professor Patty Gerstenblith, newly appointed chair and director of the Center for Art, Museum, & Cultural Heritage Law at DePaul University College of Law in Chicago, presided over the meeting. Bulgaria and Belize both petitioned the United States government for a memorandum of Understanding (MoU) seeking cultural property import protections pursuant to Article 9 of the 1970 Convention on the Means of Prohibiting and Preventing the Illicit Import, Export and Transfer of Ownership of Cultural Property (the UNESCO Convention). The requesting nations’ official public summaries appear here: Bulgaria | Belize. CPAC will ultimately provide advice about the adoption or rejection of these MoU requests. 4. Whether the implemtation of import protections is consistent with the global exchange of cultural property for scientific, cultural, and educational purposes. 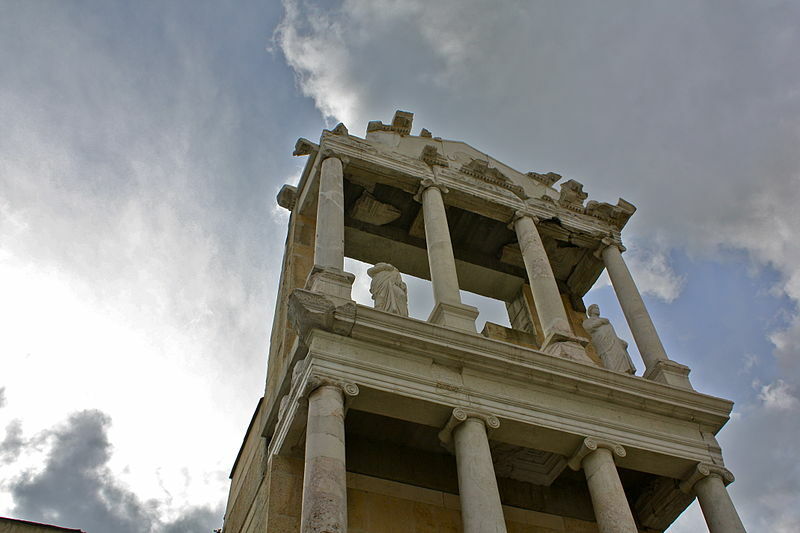 Roman ruins in Plovdiv, Bulgaria. • Kevin Clinton, President of the Board of Trustees of the American Research Center in Sofia (ARCS). See his prior written comments here. • Brian Daniels of the University of Pennsylvania Museum's Cultural Heritage Center. • Nathan Elkins, a professor of Greek and Roman art and history at Baylor University who focuses on ancient coins. • Stephen J. Knerly, an attorney who routinely appears before CPAC on behalf of the Association of Art Museum Directors (AAMD). Read his previously submitted written statement here. • Christina Luke Roosevelt, a lecturer and archaeologist at Boston University who appeared on behalf of the Archaeological Institute of America’s (AIA) Cultural Policy Committee. Read her previously submitted written statement here. • Peter Tompa, an attorney appearing on behalf of the International Association of Professional Numismatists. He is an officer of the Ancient Coin Collectors Guild (ACCG) but did not appear in this capacity. His previously submitted personal comments appear here. • Kerry Wetterstrom, a governing officer of the Ancient Coin Collectors Guild. Maya archaeological site in Caracol, Belize. • Elizabeth Gilgan, an archaeologist who worked in Belize. She serves on the board of directors of Saving Antiquities for Everyone (SAFE). Her previous written submission appears here. • Stephen J. Knerly, an attorney appearing on behalf of AAMD. Read his previously submitted written statement here. • Christina Luke Roosevelt, appearing on behalf of the AIA’s Cultural Policy Committee. Read her written statement here. You can also find AIA President Elizabeth Bartman’s online statement here. • Patricia McAnany, appearing on behalf of the Society for American Archaeology and an archaeologist who has performed research in Belize.